I have a couple of fun cards to share with you today, they both feature lots of layers of ink. One of my favourite techniques is to use multiple backgrounds on top of each other and our fabulous Hybrid Inks work incredibly well with this technique. 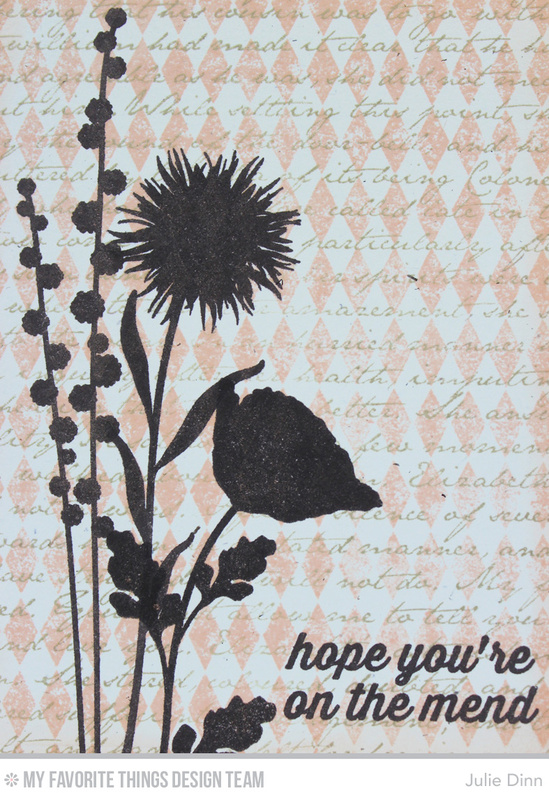 I stamped a piece of Primitive Cream card stock with the Harlequin Background in Peach Bellini Hybrid Ink. I then stamped over top of it with the Romantic Script Background in Kraft Hybrid Ink. The flowers from the Grand Wildflowers stamp set were stamped in Hot Fudge Hybrid Ink. 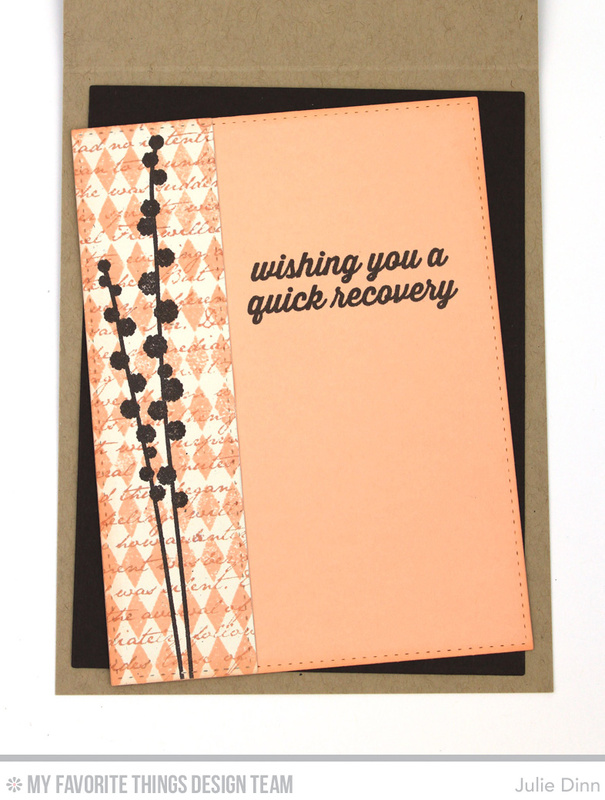 The sentiments are both from the Get Well Wishes stamp set. 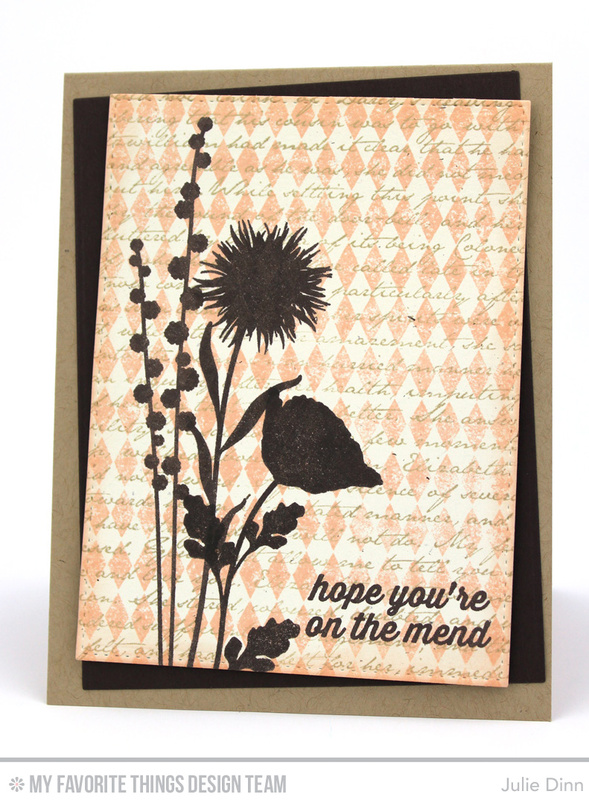 For my second card I paired the Linen Background and the Garden Flourish Background. 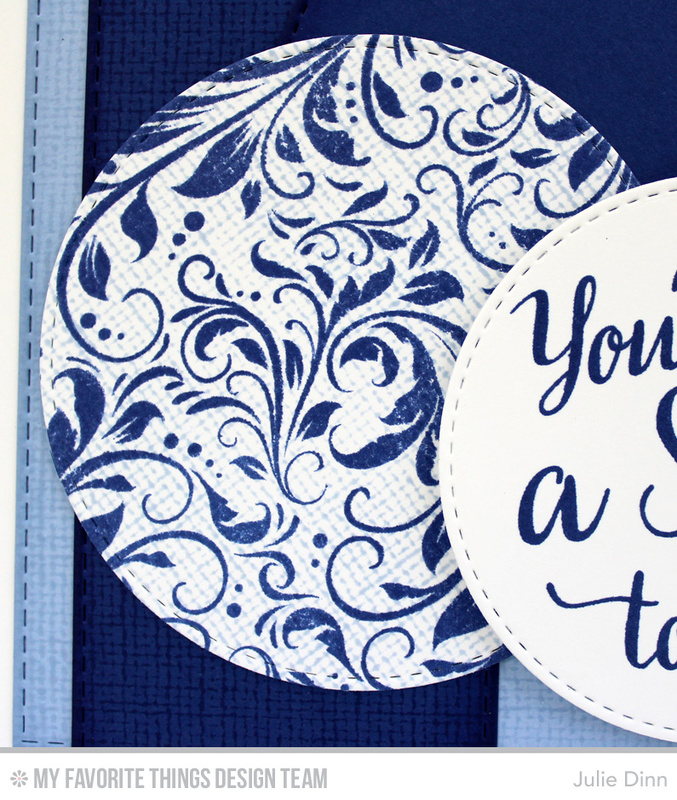 The Linen pattern was stamped in Breeze Blue Hybrid Ink on Smooth White card stock. I then stamped over it with the Garden Flourish Background in Blueberry Hybrid Ink. 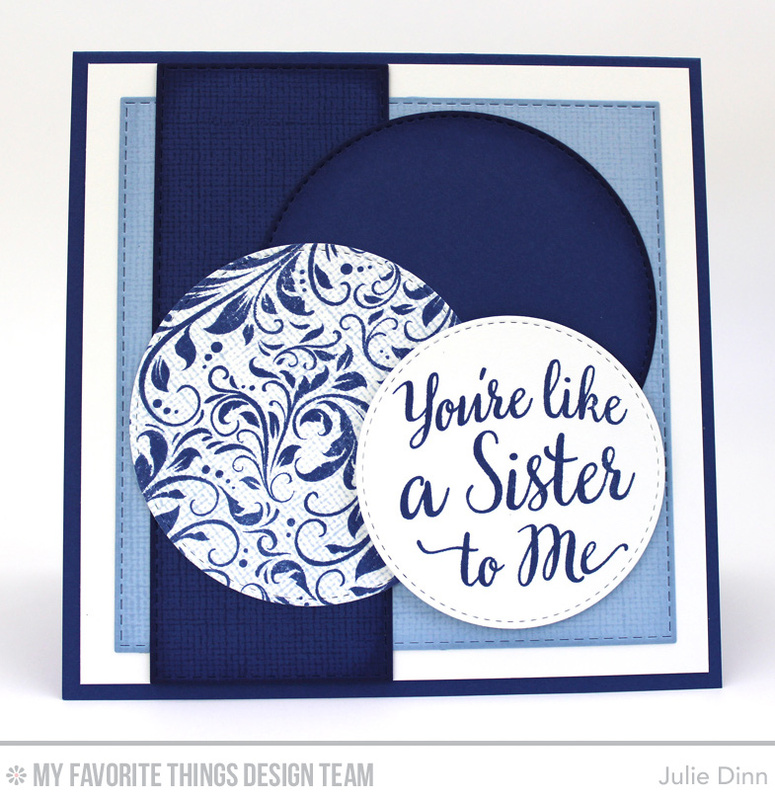 The fabulous sentiments on this card are from the True Friends stamp set. 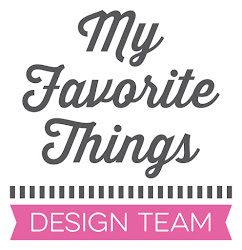 Be sure to check out the MFT Blog to see all the fabulous creations the rest of the design team has to share with you today. Wow! These cards are fabulous! 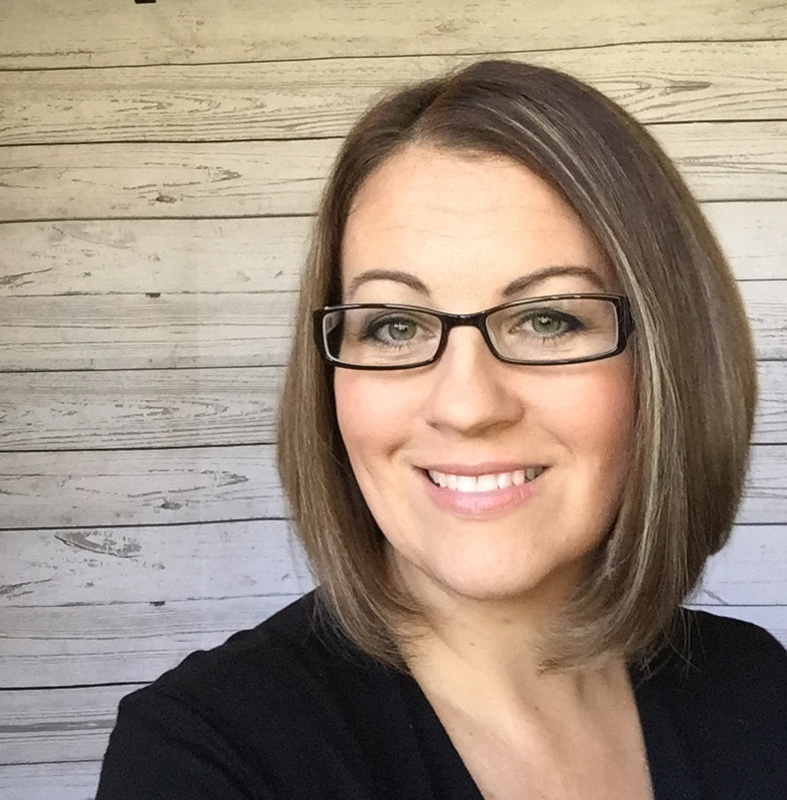 You demonstrated the technique of mixing backgrounds beautifully!